At EthosCE, we find that that many of our customers want more training. More in-depth topics, more time to gain confidence through rote training sessions, more opportunities to learn from hands-on exercises. We’re constantly evaluating the EthosCE training sessions via learner feedback, and also monitoring questions from our support desk to gauge what parts of training are most effective. Before I became the chief technology officer of EthosCE, I was an end user of many similar software applications. In the 2000s, I had the opportunity to attend two trainings for a complicated content management software system. The first time was as a new user and the second was to learn about a new software release. The training consisted of sitting a windowless room, shoulder-to-shoulder with other trainees, listening to the instructor explain, demonstrate and then assign us training tasks in the content management system. The training was rote and the agenda was densely packed — we learned through our own failure, repetition and hands on exercises. I don’t know what I was expecting back then, but this wasn’t it. I thought training would be more like a college classroom — an open conversation with the instructor about the software and how we used it and wanted to use it better. Today, as the part of the team that develops and delivers training for EthosCE, I regularly think back to my first-hand experience as a trainee. While I can’t say it was the most exciting day of my professional career, it was effective. Training designed to include failure helps you remember how to avoid it later. Even now, 11 years later, I still remember how to create a template and publish a new set of content fields within that system. That hands-on, repetitive approach made me competent in the use of that CMS very quickly. My desire to chat up the instructor was replaced with a need to get back to the office and put my new knowledge to use. As a result of the requests for more training, this year we’ve added an additional, advanced training to our menu of training options. It’s intended for customers with more complex educational activities, such as multi-day conference and hybrid courses. 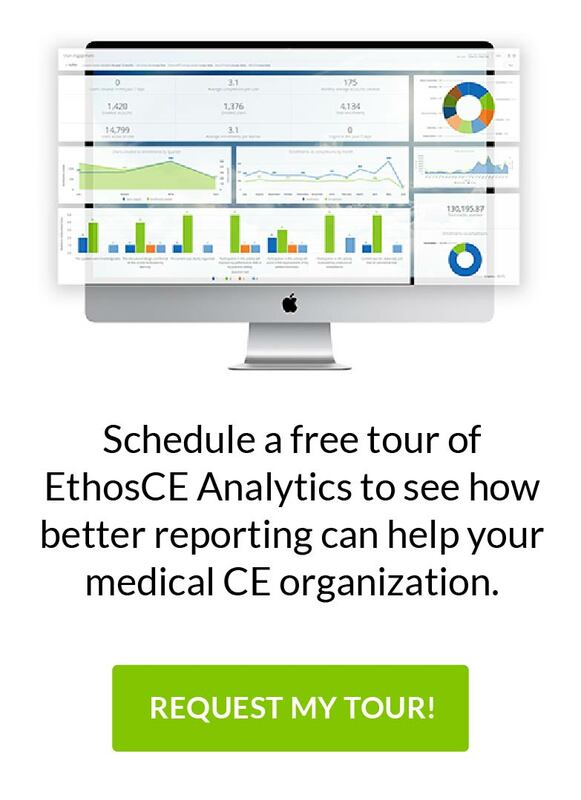 And, just as I experienced back in 2003, our trainees will have the chance to quickly become competent in the use of the advanced features of EthosCE’s powerful Course Relationship tools. We’ve made it an intense, hands-on day intended to help our customers become experts as quickly as possible. When trainees have completed this extra day of training, we’ve seen them put their learning to use immediately to create better learning opportunities for their learners, increase revenue through the user of robust course packaging, and increase learner satisfaction through better user experience. Send us a note if you’d like to learn more about our advanced training programs. 5 Tips for Designing an Engaging and Effective LMS Training Webinar: New EthosCE LMS Product Features Released!